How Does Exercise Affect Lymphedema? Exercise plays a key role in both reducing the risk of lymphedema as well as the management of lymphedema. Lymphedema is caused by an interruption or restriction in the flow of lymph fluid following surgery. Most people are aware of arm lymphedema caused by breast cancer surgery, but leg lymphedema can be a side effect of prostate or abdominal surgeries. Torso lymphedema can happen from neck and throat surgeries. There are several ways to reduce the risk of lymphedema, however, exercise for lymphedema is extremely helpful and well documented by research. Open the lymphatic system first. 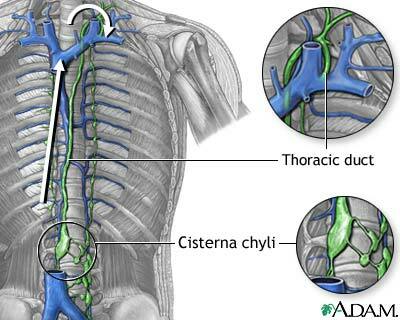 The lymphatic drains are located by your throat and will allow the flow of lymph fluid which will increase with the exercise. The Healthy-Steps program (formerly The Lebed Method) has a wonderful Lymphatic Opening exercise and program for those who may be at risk for lymphedema. Make sure the exercise movements are slow to medium speed and smooth flowing versus jerky. After surgery, especially if lymph nodes have been removed, the lymphatic transport system will be compromised and could become congested if the flow of lymph fluid is too fast. Think of a superhighway where the traffic is rerouted from four lanes to one lane. Wear proper compression garments which are designed to assist the flow of lymph fluid (i.e. lymphedema sleeve) during exercise if you already have lymphedema. This includes the gauntlet (glove) to ensure the build up of fluid does not travel to the hand.